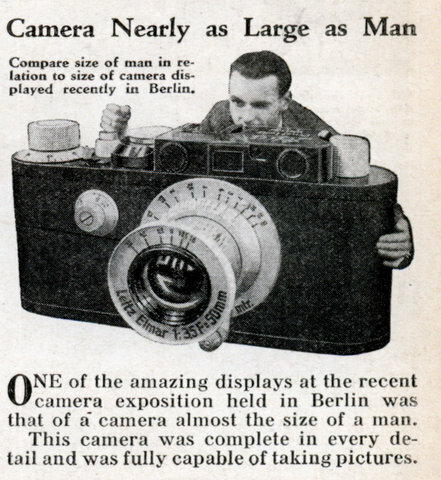 ONE of the amazing displays at the reeent camera exposition held in Berlin was that of a camera almost the size of a man. This camera was complete in every detail and was fully capable of taking pictures. And how do we know that he’s not from Lilliput and the camera is regular sized?